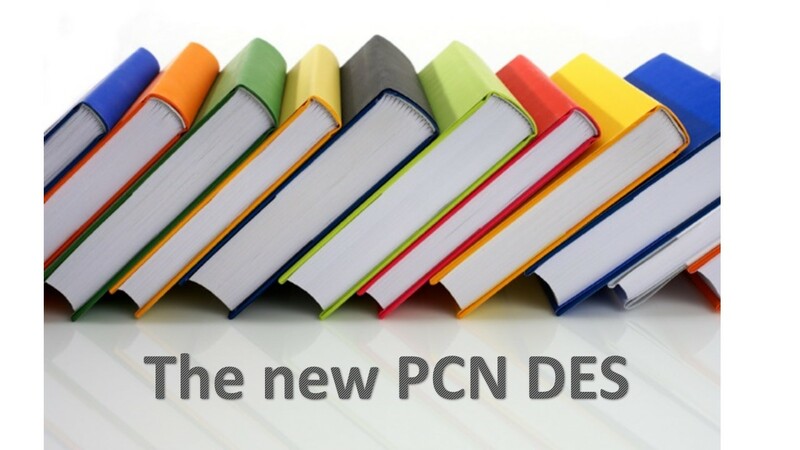 What is new in the network DES specification and guidance? Last Friday (29th March) the new Network Contract DES was published. Six documents in all, and well over a 100 pages of weekend reading (my life is basically one big party). Much of it restated what we already knew, but I will focus here on the important new things it contained. There are a number of key changes to the submission requirements. There has been some talk about the sizes of networks since the new GP contract was published, and how fixed the 30-50,000 population is. More flexibility is now permitted for the upper end of the range, and where commissioners do agree to larger network sizes, “the PCN may be required to organise itself operationally into smaller neighbourhood teams that cover population sizes between 30 and 50,000”. There can also be changes to network memberships after the 1st July, but these will require 28 days’ notice, approval from the commissioner, and will only start the quarter after approval is received. The network agreement now does not have to be submitted by the May 15th deadline, but by the end of June. Interestingly, it is in a mandatory form (one of the six documents published is the “Mandatory Network Agreement”), a theme reinforced by lines like “we agree that the wording in the clauses to this agreement may not be varied unless a national variation is published”. There are, however, seven schedules at the end which do allow some variation, and, frankly, seem to me to mean that most networks will need the extended deadline to agree them. For those interested in hypothetical future scenarios the agreement also includes quite a bit on (amongst other things) the process for leaving/joining networks, expulsion from, dissolution of, and dispute resolution. More clarity is also provided on who can and cannot be the accountable clinical director. It can be a clinician (i.e. not just a GP), but they have to be practising within the network area (no out of area leaders allowed). Four options are suggested for the selection process: election, mutual agreement, selection, and rotation within a fixed term (the latter presumably the last option for those areas where no one is willing to step forward). What is also new is networks have to be ready to provide extended hours from July 1st, including having in place “appropriate data sharing arrangements”. If this is done, and the network agreement is completed and signed, the PCN will be considered “established” (a term eerily reminiscent of “authorised” for those still bearing the CCG set-up scars). Any delays in becoming established will affect payments, most notably the ability to claim the £1.50 PCN funding that will otherwise be backdated to April 1st. The new GP contract published at the end of January indicated the money for a network could be paid to a lead practice, a federation, an NHS trust or even a social enterprise. All mention of that is gone in this guidance, which instead states that the recipient of the funding “must hold a primary medical contract” (i.e. a GMS, PMS or APMS contract), thus at a stroke discounting the majority of federations, NHS trusts or social enterprises. How, then, federations might feature immediately becomes a less straightforward question. The answer appears to lie in the recently published BMA Primary Care Network Handbook, which suggests one of the potential operating models for networks is to subcontract the provision of services and employment of staff to a federation. Subcontracting in this way is allowed by this guidance, as long as it has the consent of the commissioner. There is some complicated VAT guidance also provided, but my take is that as long as the twin traps of simply providing employment of staff (so falling foul of agency requirements) and of separating out clinical and non-clinical services into separate contracts, are both avoided then subcontracting by the networks to the federation is unlikely to incur VAT. One of the other questions that has been doing the rounds is whether there is financial benefit in networks being smaller to secure proportionally more resources. I think this guidance effectively puts that to bed by clarifying that even though each network (regardless of size) will initially receive 100% funding for a link worker and 70% funding for a clinical pharmacist, from April 2020 each network will receive a “single combined maximum sum… based on weighted capitation”. So any advantage gained in 19/20 will be immediately lost the following year by having less left to spend on new roles the following year. Indeed, the guidance states, “PCNs will not wish to make short term gains to the detriment of longer term sustainability”. However, in 2019/20 practices can only use the workforce funding to appoint a link worker and a pharmacist, and cannot use the funding for any other roles. The only flexibility is if a network either cannot recruit to one other of these posts, or already has a “full complement” of one or the other, at which point networks can substitute between the two roles. The workforce funding for PCNs also means the clinical pharmacist scheme in general practice is being ended. This means if practices have applied to the scheme, or even been approved for it but have not appointed a pharmacist, they will not now be eligible to go ahead. The guidance also introduces the concept of “additionality”. Essentially a baseline of staff numbers supporting practices across the five roles (clinical pharmacist, link worker, physician associate, extended scope physiotherapist, and paramedic) as of 31st March this year will be taken through a combination of NWRS (national workforce reporting system) and a (mandatory for practices) survey by commissioners during April 2019. The funding for additional staff will be given as long as networks can show that these staff are “additional” to this baseline number. There is much in the guidance about the supervision and workload requirements of the new staff. My worry is the level of restriction in the guidance, coupled with the cost pressure and associated liabilities each new member of staff funded at 70% (or less) of total cost presents, may lead to a much lower uptake in the recruitment of the new staff than those writing the guidance are seemingly predicting. Overall, as is the tendency of all detailed guidance, whilst it may provide some much needed clarity, enthusiasm for the changes will inevitably be dented by the sheer weight of the new instructions. While some aspects are helpful, some are clearly not e.g. the change to the hosting arrangement options, and the lack of flexibility around workforce funding. At the heart of the new GP contract was a desire to create a sustainable future for general practice, and yet what seems to be most lacking in this guidance is any focus on how all of this will benefit core general practice. The challenge for local leaders will be first to understand this guidance, but then, more importantly, to translate it in a way that can still inspire local GPs and practices to make the most of this new opportunity.